We are proud to present our learn to fly fish program again on Saturday, May 12th from 11 a.m. to 3 p.m. at Millport Conservancy 737 E Millport Rd, Lititz, Pa 17543. This program is geared towards introducing new and novice anglers to fly fishing gear, techniques, and casting. We will also cover the Pennsylvania Fish and Boat Commission SMART angler program. This program is perfect for individuals who want to gain practical, hands-on guidance from experienced local anglers. It is also a great opportunity for families that are interested in learning more about fly fishing together. Class is limited to 12 students. Hands on fishing with our expert anglers! Donegal Trout Unlimited will provide all the necessary fly fishing equipment for the afternoon. If students have their own preferred tackle we encourage them to bring their own gear along! However, since this is an outside event we ask that all students dress appropriately. We will be fishing the creek from the bank however the ground can be rocky and muddy. We recommend students wear waterproof boots (hiking or knee-high rubber). We also recommend that student bring layers of clothing, including a rain shell, to be prepared for spring weather. We will reschedule the event if conditions are dangerous or disagreeable with our objectives for the day. This event is possible through a collaboration between Donegal Trout Unlimited, Keystone Fly Guides, Pennsylvania Fish and Boat Commission, Millport Conservancy, and Green Meadow Farm. We ask that all participants respect the properties we use and obey Fish and Boat regulations (you will learn about these regulations during our class). 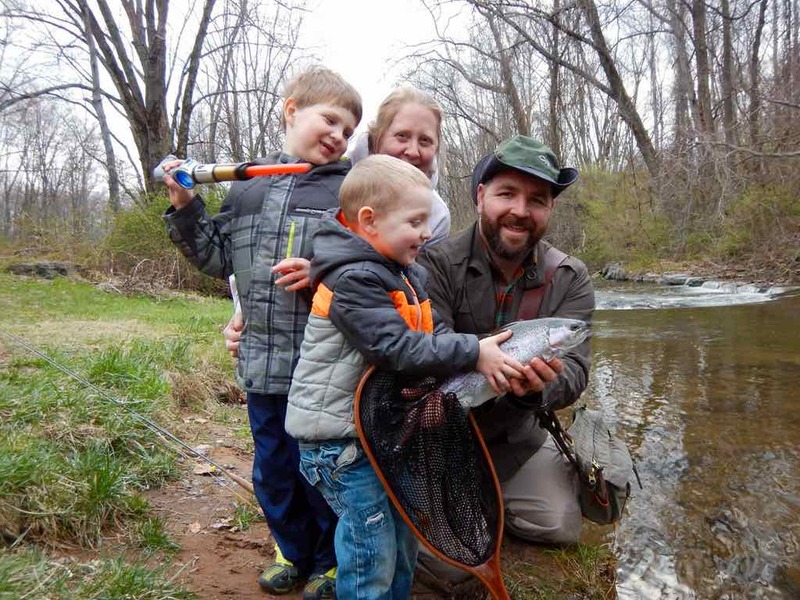 This cooperative effort is intended to build a greater understanding and appreciation of the quality fishing opportunities in Pennsylvania and here in Lancaster. Please share this post with anyone you know who would be interested in learning how to fly fish in the Lancaster area. We look forward to building our fishing community through a great day of learning on the water together. Please email Derek Eberly at keystoneflyguides@gmail.com to register.